Diamonds are forever is a phrase often used in conjunction with diamonds. 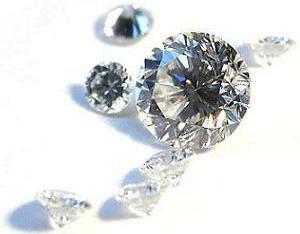 Being the hardest natural material ever known to man, diamonds do last forever. But that phrase tells a lot more about diamonds than just that. Though just another allotropic form of carbon, according to mineralogy, diamonds have had a special place all through history. Apart from the precious stone that we know diamonds as, they are also used as abrasives in the industry for cutting or polishing extremely hard materials. The use of diamonds as symbols of religious significance in ancient India is also well documented. On the one side, wars have been waged and several lives taken for this precious stone while on the other, diamonds have known to be a symbol of love. Whatever the role accorded to them, man's obsession with diamonds has and will remain forever. Diamonds have known to have got their name from the language of the ancient Greeks. The ancient Greek word, adamas that could be roughly translated as 'untamed' or 'invincible' is said to have been the root from which the modern name, diamond, was derived. Mined mostly in Africa apart from Brazil, Australia, India, Russia and Canada, these stones gained immense popularity in the 19th century when huge diamond mines were discovered and many modern cutting and polishing methods came about. A combination of its sheer brilliance and rarity resulted in escalating prices further augmented by clever advertising campaigns. 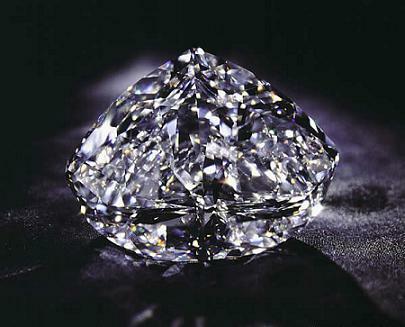 As of today, diamonds rank as one of the most costliest gemstones to ever exist. A beautiful diamond in a jewellery shop may look pleasing to the eye, but the various processes and sheer effort that goes into bringing a diamond to its finished stage remains mostly unknown. This website aims at familiarizing you with as much as possible about diamonds. Apart from information on how a diamond is mined, cut, processed and made into the beautiful stone that we know, we also have information here that will help you in making the right choice when faced with the daunting task of shopping for diamond jewellery. How a diamond is priced, what are the flaws that may exist in a diamond, how a diamond is weighed and what kind of scams you may be subjected to are some things you will most necessarily have to understand before shopping for diamonds. A guide to colored diamonds and synthetic man-made diamonds will serve the purpose of further acquainting you with the different kinds of diamonds that exist.